Schlock-Wire: Salacious Specs For Synapse’s THUNDERCRACK! Special Edition Blu-Ray/DVD Set – Schlockmania! YEARS IN THE MAKING! 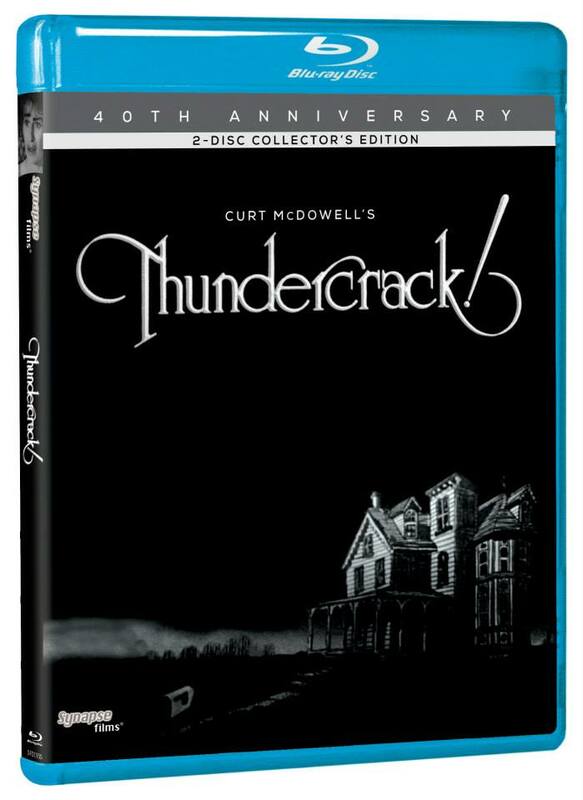 SYNAPSE FILMS’ HIGHLY-ANTICIPATED BLU-RAY RESTORATION OF THE UNDERGROUND FILM CLASSIC THUNDERCRACK! WILL FINALLY BE UNLEASHED THIS DECEMBER! One of our most anticipated releases ever, THUNDERCRACK! comes to DVD and Blu-ray this December in one of Synapse Films’ most-packed special editions yet! – BLU-RAY EXCLUSIVE! BONUS DVD, featuring rare interviews, short films, THUNDERCRACK! audition footage, outtakes and MORE!